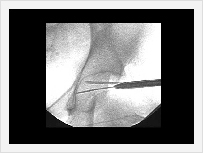 Hip arthroscopy is not widely performed and is a more involved procedure than many other forms of arthroscopy. 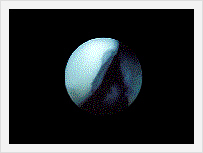 With keyhole ports the joint will be visualized and it can be only diagnostic or can also be therapeutic. It is not possible to say a hip is normal without looking inside the joint. 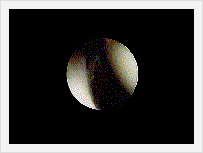 (osteo- and rheumatoid) An arthritic joint can be cleaned using the arthroscope. It does not always relieve pain, but is much less invasive than a major joint replacement. Loose bodies are small fragments of bone that come adrift inside the joint. The hip contains a large ligament that can easily be torn and a structure called the 'labrum'. 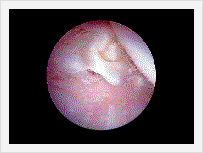 Though in the hip, a labrum looks like a knee cartilage and can be damaged during sport, or as a result of arthritis. The lining membrane of the hip joint ('synovium') can become inflamed. The hip can become infected, just like many other parts of the body. Causes might include Staphylococcus aureus, tuberculosis, and other organisms. Hip arthroscopy is an excellent way of establishing the true nature of the infecting organism so that appropriate antibiotic treatment can be commenced, as well as cleaning out the infection itself. Very rarely it is possible for tumours to grow inside a hip. 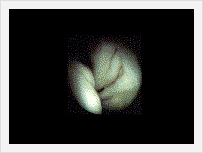 They can be identified and often removed using the arthroscope.